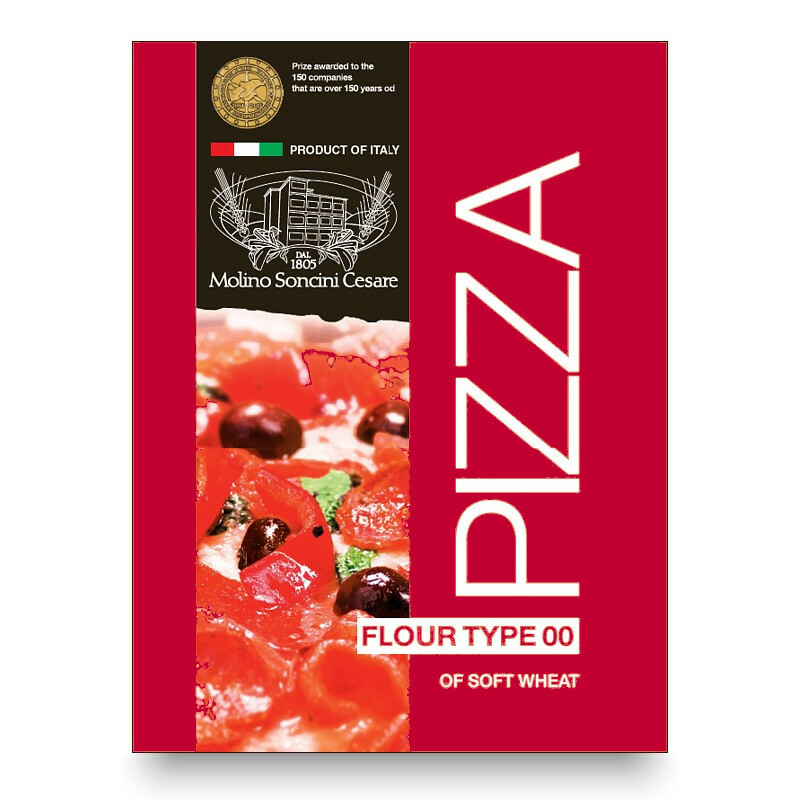 Pour the water into the middle of the Pizza Line Red Flour to make a dune. Dissolve the yeast in lukewarm water, and gently pour, together with two spoonfuls of olive oil, into the dune. Knead it all together, adding the salt last when the dough becomes smooth and soft. Leave in a cloth­-covered dish for 30/40 minutes until it has risen. Spread it out on a greased baking tray, spread a little oil over the top and leave for 90 minutes. Roll the dough out with a rolling pin, make 4 disks to fit the round trays you are using (thickness about 3 mm), and transfer the disks into the pre-oiled trays. 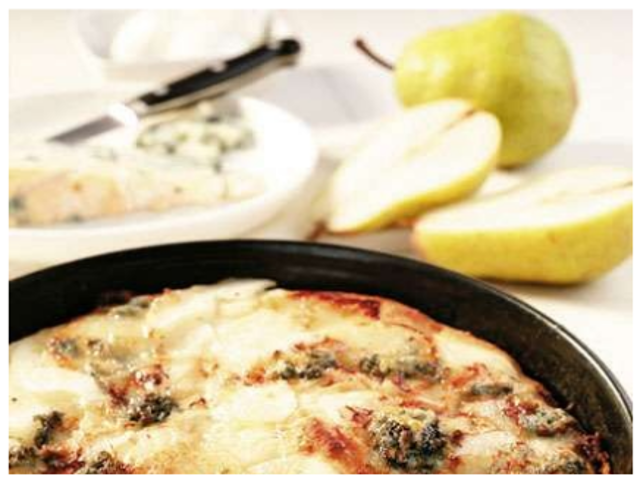 Slice the mozzarella and break up the gorgonzola into small pieces; spread both cheeses onto the pizza bases. Peel, core and slice the pears thinly, arrange them on top of the cheese and sprinkle with a little pepper and salt, and a drizzle of olive oil. Bake at 200°C for about 20­-25 minutes. Serve immediately.